You’ve been charged with having the most up-to-date information on strategy, best practices and thought leadership for digital analytics. I can help by attending the eMetrics Summit, June 20 – June 23, 2016 at the Hilton in Chicago and bringing back valuable, useful insights. This is a great way to leverage the significant investment in analytics we have already made. 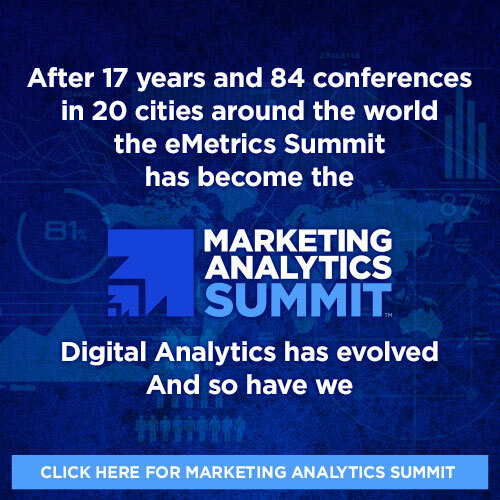 The eMetrics Summit has been providing first-class education and training over the past 15 years and is truly the industry’s “must-attend” event. Many of these sessions will be presented by users from leading companies, so they’ll be very practical and tactical. I’ll also be able to network with some of the founders of the web analytics, predictive analytics and Big Data industries. With delegates from the around the world, I will have the opportunity to network with my peers to exchange ideas, best practices and lessons learned. Additionally, if we decide to send a team to the event, we can save additional money by taking advantage of group rates (savings starting at $200 per person). Although we may not have budgeted for this training, the return on investment will justify the expense. The industry’s leading experts, professionals and thought leaders will be presenting the most current industry news and trends. The education I receive at this conference will build my practical knowledge on the latest best practices, lessons learned and industry standards. I hope you agree that my attendance at eMetrics Summit is worthwhile and can offer valuable information and insight to grow our business.